“It is a business, not a social service. The Nigerian government will not own more than 5 per cent maximum stake of the new national carrier,” added Sirika. 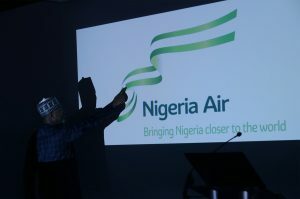 The Federal Government yesterday at the Farnborough Airshow in London unveiled the name of its new national carrier, as Nigeria Air. The government also adopted Nigeria’s colours – green, white and green – as the brand colours for the carrier while the airline logo as sighted by Daily Sun has the Coat of Arms crested on it with the inscription, “bringing Nigeria closer to the world”. Minister of State for Aviation, Mr Hadi Sirika, speaking at the event, said the Nigeria Air will be private-sector driven with the Nigerian government holding about 5 per cent equity in the airline. The government has set December 24, 2018 for the inaugural flight of Nigeria Air and the Minister assured that the government would do everything legally permissible to fast-track the listing of the airline as a member of the International Air Transport Association (IATA) as well as the speedy subsection of the airline to the IATA Operational Safety Audit (IOSA) enable it to ply international routes. Said Sirika: “This airline, because it is a Private Public Partnership (PPP), the investors put in their money and strategic partners would decide who runs the airline. This airline is a business and not a social service. It is not intended to kill any airline in Nigeria but complement and promote them. “It must be done in a right way so that it will be here to stay. This will be a carrier that is private sector-led and driven. It is a business, not a social service. The Nigerian government will not own more than 5 per cent maximum stake of the new national carrier,” added Sirika. The Minister lamented the many years of not having a national carrier in the country despite boasting a huge flying population in Africa. Said Sirika: “Nigeria has unfortunately not been a serious player in the aviation industry for a long time. We used to be a dominant player through Nigeria Airways but sadly not anymore. “This (logo and name unveiling ceremony) is an important day for Nigeria. 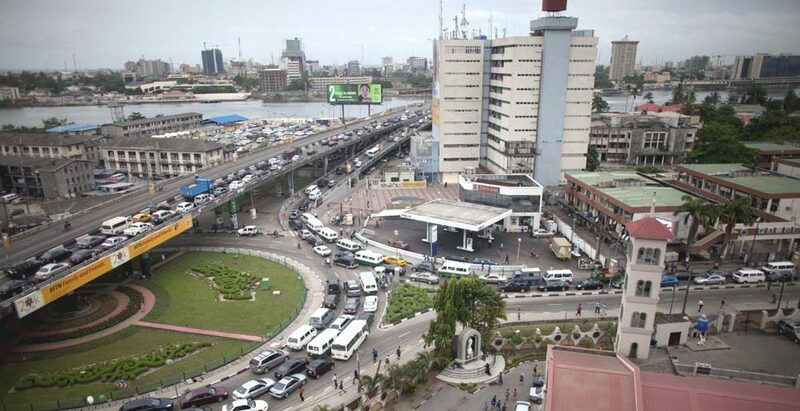 The largest economy in Africa, largest population, with a GDP (Gross Domestic Product) of around half a billion dollars, and the only true aviation player in West and Central Africa,” he added. Sirika said the new airline will take advantage of about 81 routes (domestic, regional and international) and that talks had commenced with Airbus and Boeing regarding the acquisition of about 30 aircraft for Nigeria Air. Commenting on the unveiling of Nigeria Air, aviation analyst, Capt. John Ojikutu faulted the idea of cresting the Nigeria Coat of Arms on the logo of the airline.